Looks like Drake doesn’t feel good or safety after the fight against Chris Brown this week. Now is he feeling afraid of any offense from Chris though he was injured more than Drake? Whatever it is, Drake wants to ensure his security for his concert tonight and called for extra security. 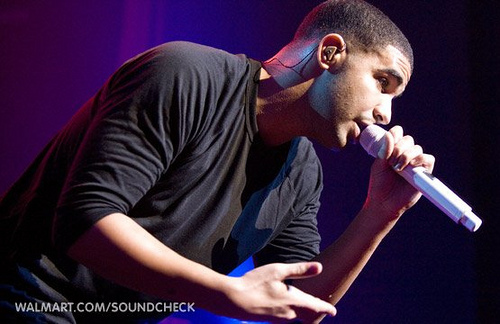 Last week, a fight was happened in the New York City night club, WIP, between Drake and Chris Brown. There fighting starts with the issue of Brown’s ex-girlfriend Rihanna. When the NYPD was arrived the place, Drake and Brown both are leave the place and no one was arrested for that occurrence. Although Chris Brown was more injured than Drake, so we think Drake is now feel more unsecured than Brown. But good news for Drake ensures his safety that New York State Park Police department decides to ensure more security on tonight’s concert of Drake. They don’t want to take any risks for the upcoming concert at Jones Beach Theater. According to the Park Police, they want to ensure the listeners safety in the concert and don’t let any occurrences which happen at the WIP hotel this week. And they also ensure that Drake is not in any danger like being arrested for Brown’s injury issue.